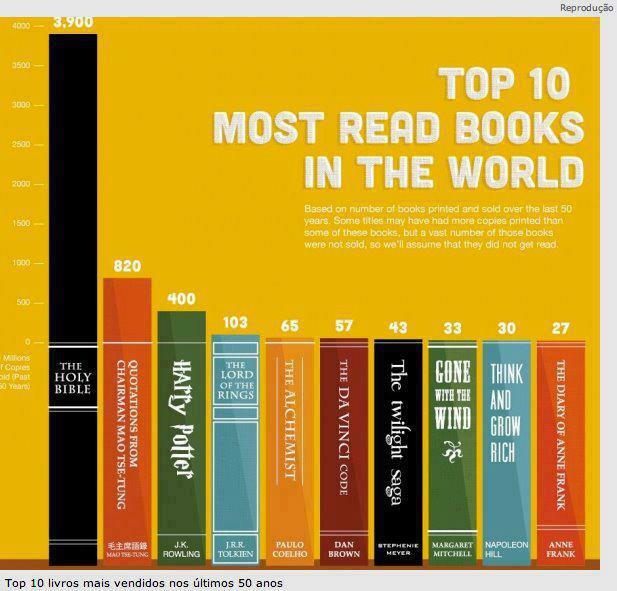 Found the chart from Paulo Coelho's Facebook FanPage, and it seems that would be great to share to dear fellow book-addicts. I don't know whether you agree. I don't how many you've read from those ten books most read all over the globe.